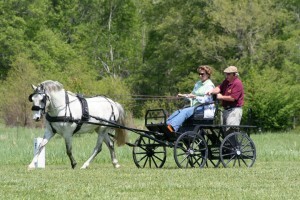 Join us for the Tom O’Carroll Carriage Driving Clinic and Arena Driving Trial, April 5-7, 2013! 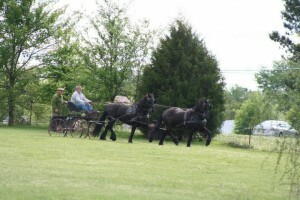 Dedicated to promoting the sport of carriage driving in the Mid-South. Nashoba Carriage Association is pleased to welcome Tom O’Carroll for a carriage driving clinic and ADT this coming weekend in at Bob Martin’s Split Tree Farm in Moscow, TN. Bob is past president of Nashoba and an avid supporter of new carriage drivers in the area. Tom, originally from Ireland, is the owner and trainer at Good Hands Training Center in Navasota, TX, where he trains horses to drive and schools drivers in the art of proper reinsmanship and safe driving. Tom emphasizes safety every step of the way. Tom also has perfected the construction of the rein board, an apparatus that allows drivers to practice proper rein technique while at the same time seeing the bit as it rests (and works) in the horse’s mouth. Nashoba members are excited that we finally have purchased one of these boards so that we can make use of it year-round, and not simply when Tom is in town! Tom will demonstrate use of the rein board at our Saturday evening potluck dinner. He also will answer questions and discuss aspects of driving safety. On Sunday, April 7, Tom will judge the dressage phase of our spring Arena Driving Trial (ADT). An ADT is a one-day event with three phases: dressage, timed cones, and timed obstacles. Drivers will have the unique opportunity to drive the dressage portion with Tom and receive immediate feedback from him. As time allows, drivers then will have the chance to drive the test a second time in order to work on areas for improvement while the feedback is fresh! Join us for a fun and educational weekend of driving. Please email us at nashobacarriage@gmail.com if you have questions about this clinic or any of our other upcoming events. 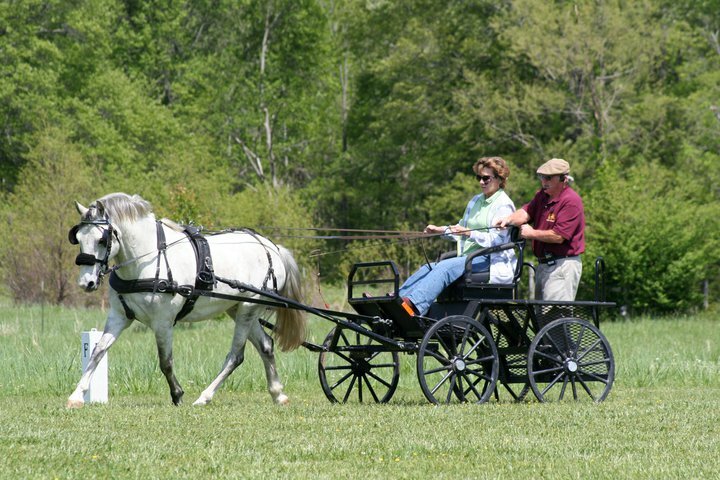 Carriage Driving Association of America, Inc.
© 2019 Nashoba Carriage Association - All Rights Reserved.